JNN 23 Aug 2014 London : A PhD student from Saudi Arabia has been stabbed to death for wearing Islamic dress while walking to her university campus in Essex, northeast of London, a report says. 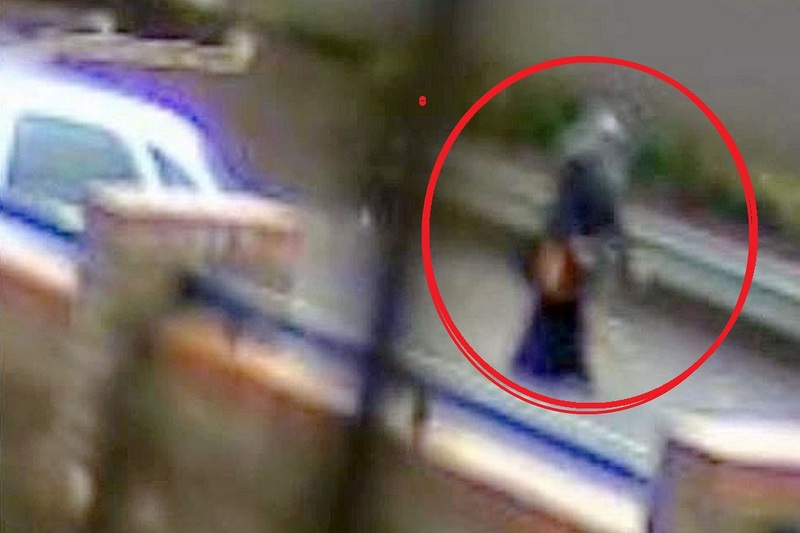 Nahid Almanea, 31, was stabbed 16 times on a footpath with officers believing that she was targeted for wearing a traditional Muslim dress, a long robe and a headscarf, the Huffington Post reported. According to Essex police, Almanea died on the spot after receiving the knife wounds in her body, neck, head and arms. The University of Essex said Almanea was a “very hard-working and conscientious” student and was expected to finish her studies later this year. Her body was later transferred to Saudi Arabia’s al-Jawf Province where a large crowd gathered to take part in her funeral ceremony. A 52-year-old man was reportedly arrested in connection with her death. “This isn’t the first attack on a Muslim student and certainly is not the last on a member of the Muslim community in the UK. We will naturally wait for all evidence to become clear. However, if the attack turns out to be Islamophobic in nature because of her Muslim appearance, then it will correlate with the disturbing exponential increase in hate crimes against Muslims here in the UK,” said Omar Ali, president of the Federation of Student Islamic Societies (FOSIS). The attack prompted strong reactions from people in the UK and Saudi Arabia, who all condemned such attacks on Muslims. Several Saudi nationals even called on the Saudi Embassy in London to suspend business ties with the UK. The yobs uprooted headstones, trampled on flowers and kicked over memorials in what police branded a ‘heinous and senseless’ crime in Chadderton Cemetery. The raid took place at the site, on Middleton Road, between 8.30pm on Friday, August 15, and 7.30pm the following day. Officers received a distressed call from someone visiting the grave of a loved one. When police arrived they found up to ten graves – all in the Muslim section of the cemetery – had been damaged, leading them to believe it was a racially-motivated attack. Wooden grave markers and headstones were uprooted from four adjoining graves, one of which had a brass plaque ripped from the headstone itself. A further two large floral tributes on other graves were smashed, trampled on and the flowers scattered across the other, while flowers on up to four other graves were also kicked over. There was also some evidence to suggest someone had walked directly over a recent grave. Police are now appealing for witnesses to come forward. Sgt Jon Martin said: “The exact motive for this heinous and senseless vandalism is unclear, but given that only the Muslim section of the cemetery was targeted it has to be treated as being racially motivated. That makes this vandalism even more sickening, as the culprits have singled out the resting places of those who have lost their lives purely because of their religion. “This is not just wanton racism but the deliberate, calculating and cruel act of desecrating the memories of Muslims who are buried at the cemetery. 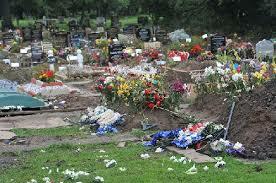 “The distress this has caused to the families who have loved ones buried here is immeasurable. It is not just the vandalism itself, which can be repaired, but the thought of someone trashing what should be a place of sanctity and tranquillity for those who have lost their lives purely because of their religion. “We need to find the culprits, who may very well live the local area, so I am appealing to the community for help in identifying them. If you suspect who may be involved then please call us. This entry was posted in Europe and tagged Muslim Girl Murdered, Muslim Graves, Nahid Almanaea, Saudi Arabia, UK Racist, University of Essex. Bookmark the permalink.